Attorney Charles H. Oldham | Combs Law Group, P.C. 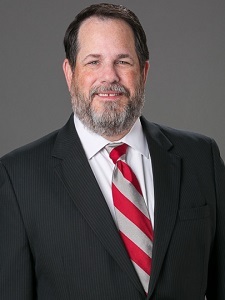 Mr. Oldham's primary areas of practice include commercial litigation matters with a focus on real estate litigation, including experience with escrow and title insurance disputes, partitions, landlord tenant disputes and purchase contract disputes. Mr. Oldham also has significant experience in other commercial litigation matters such as collections, business dissolutions, bankruptcy and professional liabiliy and dissolution issues between unmarried co-habitants. Mr. Oldham has served as both lead and co-lead counsel in both jury and bench trials. Mr. Oldham's varied experience makes him uniquely qualified to assist clients with their real estate disputes. Mr. Oldham also has experience it the area of alternative dispute resolution. Mr. Oldham has represented clients in dozens of mediations and arbitrations, and also serves as a mediator and arbitrator. Several family law appellate cases including a recently published decision setting aside a garnishment of a divorced spouse’s sole and separate earnings. As lead counsel, Mr. Oldham defended an automobile dealership, its principals and several employees in a $1 million dollar fraud case resulting in judgment as a matter of law following the plaintiffs’ case for the dealership and its principals and a defense verdict for the employees. Numerous successful appeals involving real property and title issues, including three published Arizona Court of Appeal decisions. I wanted to take a moment and thank your firm again for your incredible work. You are a rock stars in my book. I couldn't be more proud to have you represent us. Your craft was awesome to watch and I can't express how grateful I am for what you have done. A jury trial can go either way. However, your presentation skills were truly mesmerizing. You had the jury in your hand from your brilliant opening all the way through to your outstanding closing statement. You had a plan and executed it like a boss. Absolutely amazing! Thank you!